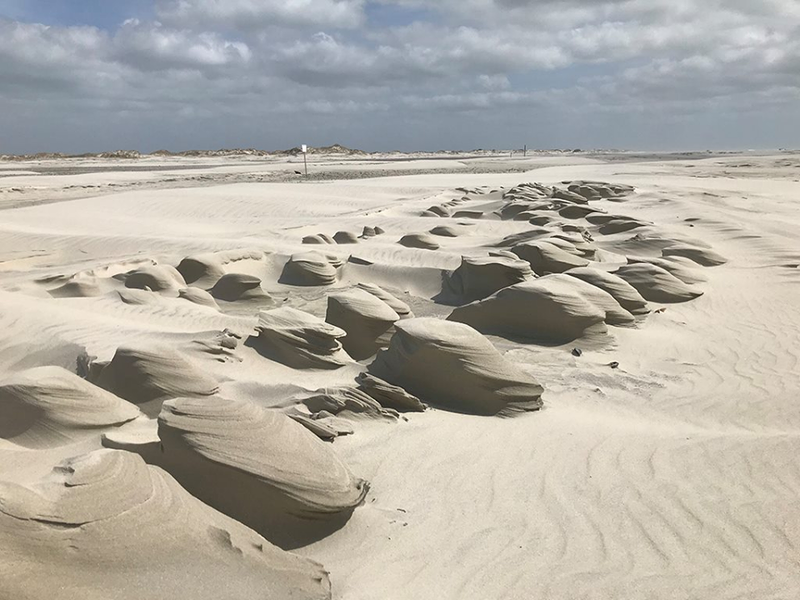 OCRACOKE – Storm-driven tide crashing on to your waterfront yard is bad enough, but Hyde County Manager Bill Rich saw visions of doom when a 45-foot boat in Silver Lake headed straight toward his house. “It looked like the Titanic was coming through my bedroom,” Rich recounted in an interview last week. 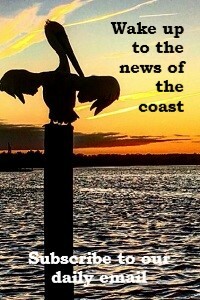 As fortune had it, Rich’s home was spared impact from one of numerous close encounters with unmoored orphaned vessels in the harbor, an increasing problem in the small resort community on the southern tip of the Outer Banks. On Monday evening, the Hyde County Board of Commissioners unanimously passed an ordinance that prohibits abandonment of vessels in Silver Lake, in what Rich characterized as an important first step in addressing what has become a dangerous and ugly blight in the otherwise picturesque harbor. Under a 2015 state law, the county was given the authority to pass an ordinance that would consider a vessel to be abandoned if it was anchored for more than 30 days without permission within a six-month period. The definition also includes sunken vessels or those in danger of sinking, as well as boats that create a hazard to navigation or an immediate danger to other vessels. 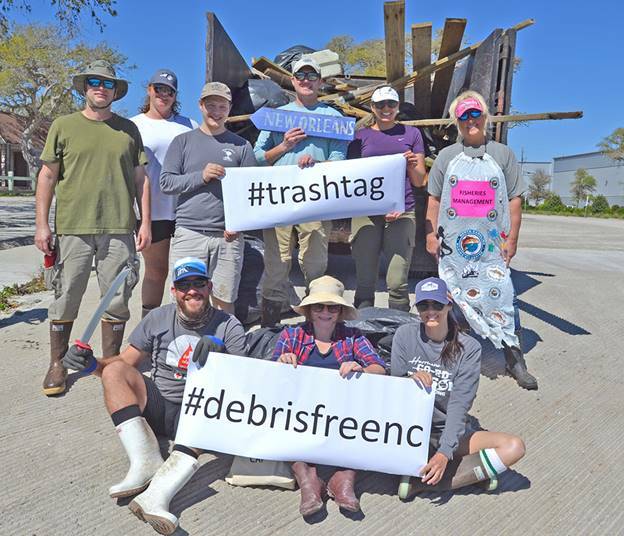 Three other coastal counties – Dare, New Hanover and Brunswick – have also adopted similar ordinances. But abandoned vessels have become a costly and complex issue that nearly every waterfront community in North Carolina – and nationwide – is grappling to address. In a report published in March 2017 by the U.S. Government Accountability Office, a survey of 28 coastal states found that 18 of those states reported more than 5,600 abandoned or derelict vessels between 2013 and 2016. Of those, only 3,000 had been removed. North Carolina does not monitor the number of abandoned vessels in its waterways. For Hyde County, Silver Lake Harbor is a popular destination for recreational sailors and boaters, especially in the summer. But in the last 15 years or so, Rich said, more people have been using their vessels – usually sailboats – to live on. At the end of the season, or when the weather is dangerous, some people have moved away, leaving behind their empty boat anchored in the harbor. The ordinance is not meant to keep people from living on their vessels, the county manager said. It is meant to discourage irresponsible ownership. “What we’re not going to have is people using their boats as a motel and leaving them all winter long,” he said. In just the last two months, six abandoned vessels broke free of their moorings, he said. 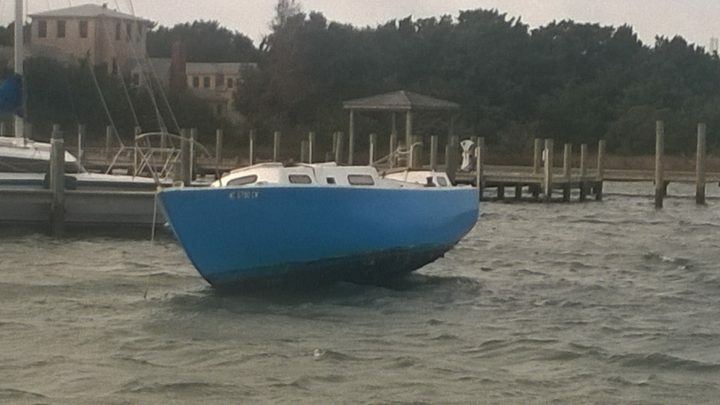 One unfettered sailboat ended its journey at the pier in front of Ride the Wind Surf Shop, another landed by the Berkeley dock. Both of those vessels sunk. Another boat broke loose at the National Park Service docks. After ensuring that they were unclaimed, the county retrieved each vessel, crushed them and hauled them away, at a cost to the county of $1,500 to $2,000 each. In addition, Rich said, a fourth vessel was towed away from its resting spot at a private dock it damaged. Two derelict vessels remain – one aground on private property, the other snagged on a mooring ball. Eventually, Hyde plans to draft another ordinance more tailored to its needs and circumstances, and ask the legislature to approve it, Rich said. Steve Wilson, chairman of the Ocracoke Planning Advisory Board and an island native, said that part of the problem with abandoned vessels is that their registrations are often outdated, making it difficult to track down the responsible party. Under the ordinance, the county follows state law that requires the abandoned vessel’s owner to be notified, when possible. Typically, an owner is determined through documentation and the identification number on the vessel’s hull. Under state law, the last registered owner is considered the owner, although it is rebuttable. Regardless of who removes and disposes of the abandoned vessel, or contracts for it, the person who removes the boat is responsible for collecting the associated fees. The owner is responsible for all costs of removal, towing, storage, disposal and/or site restoration. And if the owner can’t be determined, the taxpayer ultimately foots the bill. Some people who live on their boats don’t leave the harbor, Wilson said, so they don’t bother to renew their registrations. It’s also not uncommon for boats to be informally sold and resold without re-registering them. Over the years, he said, there have been increasing numbers of “boats that come here and never leave.” The result, he added, is the harbor at times has been cluttered with vagrant vessels without anchor lights, hindering the access for and safety of transient vessels that want to tie up for the night. If a boat is docked or anchored and had not been underway, it is unlikely to be checked by law officers with the Coast Guard or the North Carolina Wildlife Resources Commission, which both have certain enforcement power over vessels, he said. And since no insurance is required for boats, documentation is easier to ignore. Law enforcement personnel with the Wildlife Resources Commission did not respond to several requests seeking further information. With the new ordinance, any county law enforcement officer or representative of any government agency with jurisdiction has enforcement power, including authorization to board a vessel. 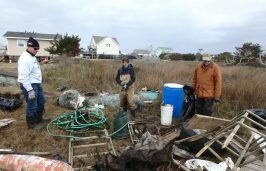 “The bottom line is a lack of responsibility has created a problem for the village, for the transient boaters, for the property owners around the harbor,” Wilson said. 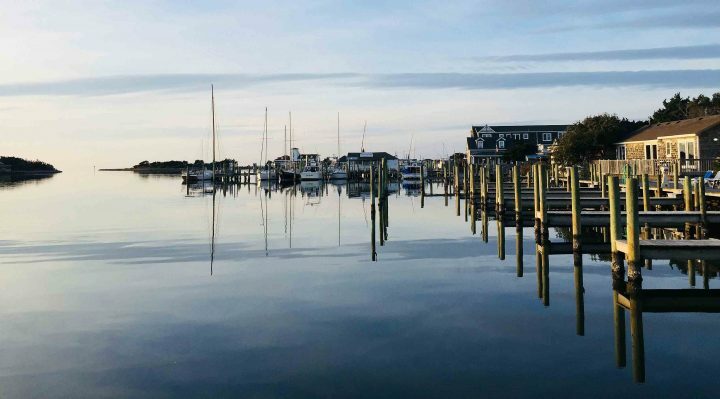 Silver Lake, the more evocative name for the Ocracoke harbor, is considered one of Ocracoke’s most vital resources, he added.